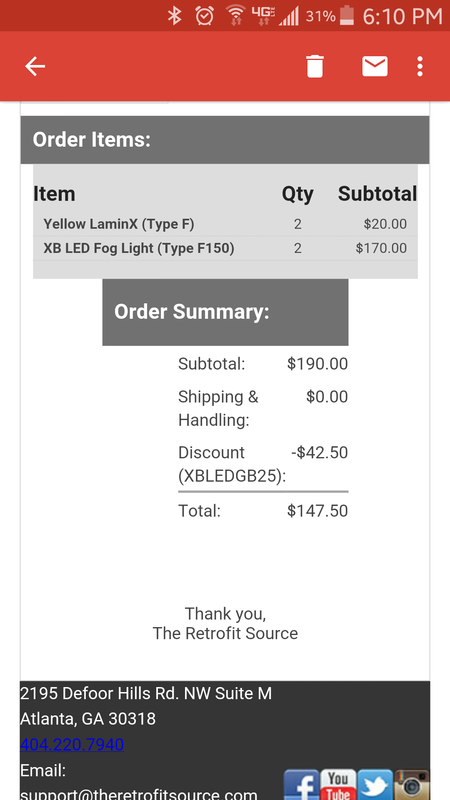 Now that the F150 XB LED fog lights are hitting the streets here is a place where you can share your install, opinions and pictures! 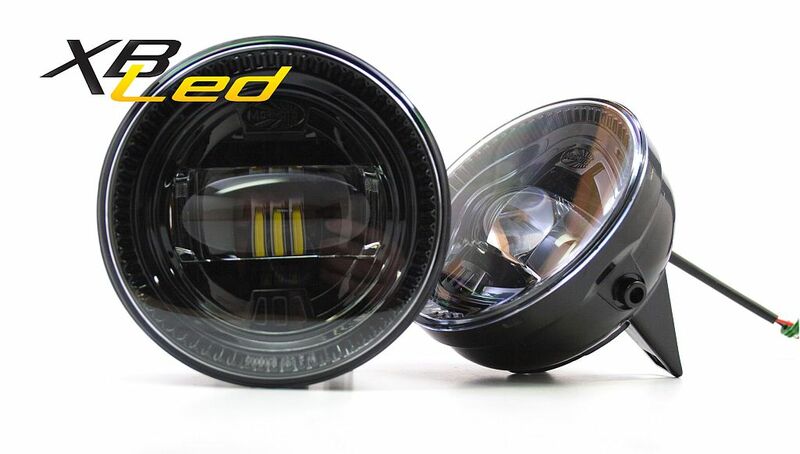 For 2009, 2010 trucks you will need the drivers side fog light bucket from a 2011+ truck for these to be compatible. - Turn your wheel all the way to the right for easier access to the fog housing. - 3 bolts hold on the fog housing on the bumper. 1 on the bottom, 2 on the top. - Once the whole fog housing is removed unscrew the leveling/beam adjustment screw and remove the spring. - Then take the flat head screw driver and pop up each tab on the sides of the fog housing to release the actual fog light. 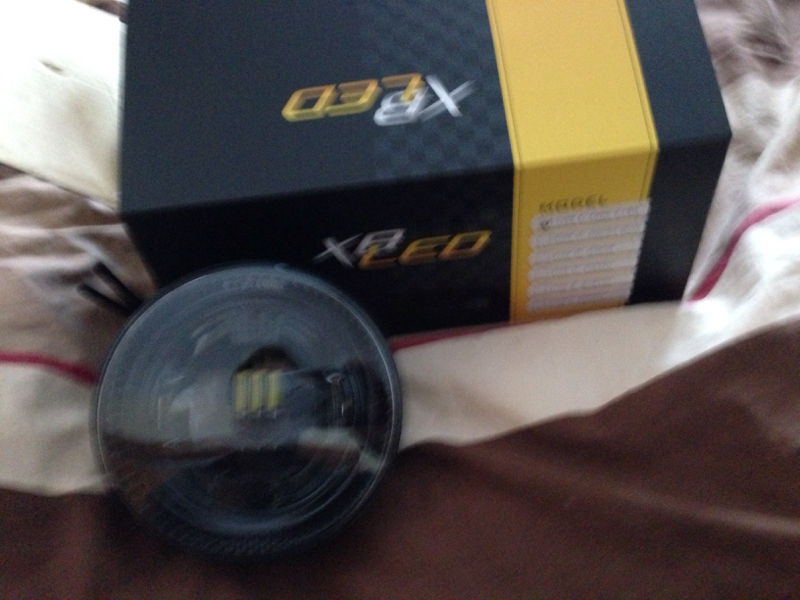 - Next, put the new fog lamp in its place. You can't mess this up. - Put the supplied black plastic piece that the screw screws into in just like the one on the old fog light(the old one is white). You can't mess this up if you just mimic the old fog. - Put the new spring in just like the old fog. - Put the screw in through the bottom, threw the spring, and through the top. Very easy. SIDE NOTE: I used the original screw. NOT the one provided. It would not screw in easily. The old one did. I am guessing it's because the end is pointed unlike the screw provided which is flat. - Next, go look at the wiring harness. Have the plug that comes with the new fog and figure out where the ground and where the power will be in relation to how it will be plugged in. - Go back to the new fog, remove the protective black covering on the ends of the wires, slide them in the plug in the same way you figured out how in the step before. - I would plug the light in on the outside of the truck and make sure the light works before fully putting it back. - Last, put the whole housing with the new fog installed back in the original spot. - Very last, Plug in the light! - Turn the wheels all the way to the left for easier access. - Repeat the exact same steps as before. - The only difference is that there was a black covering over the top two blots that i just folded back. Other that it was easy as pie. I have a few pics that I will post. That being said, you really don't need them if you just follow the steps. Last edited by Raptor Retrofit; 03-02-2015 at 09:17 AM. These are available in amber, correct? Lamin-X is a film. It's yellow though, not amber. You can peel it off if you want white. You can get a yellow film over them, but as of now, they are NOT being offered with an Amber LED. I didn't see any installs. Ready to see some output shots, that'll be my deciding factor. I haven't installed them yet and probably won't since it is below zero in MN right now. But I did hook them up to a power supply at work and they have a nice cut off. They seem really well made. Now for the temperature to warm up so I can get under my truck.